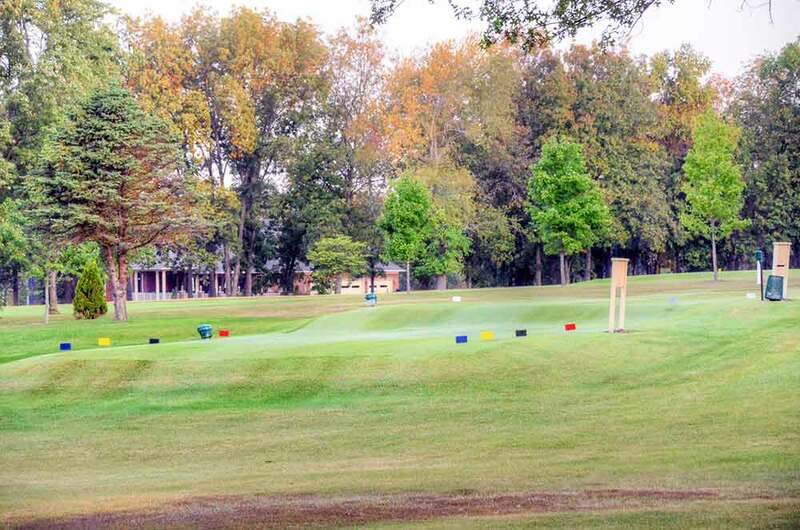 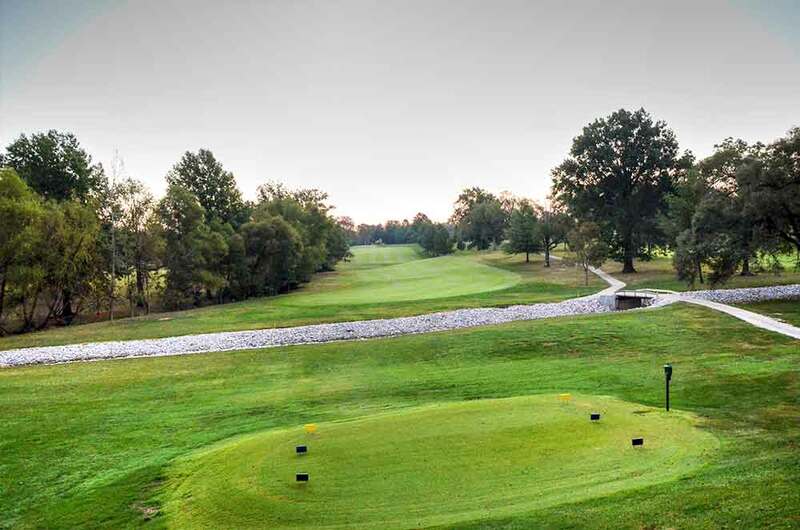 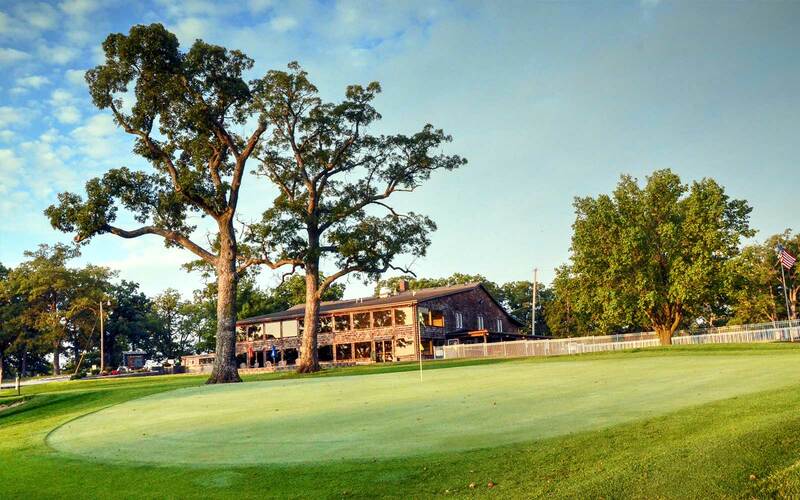 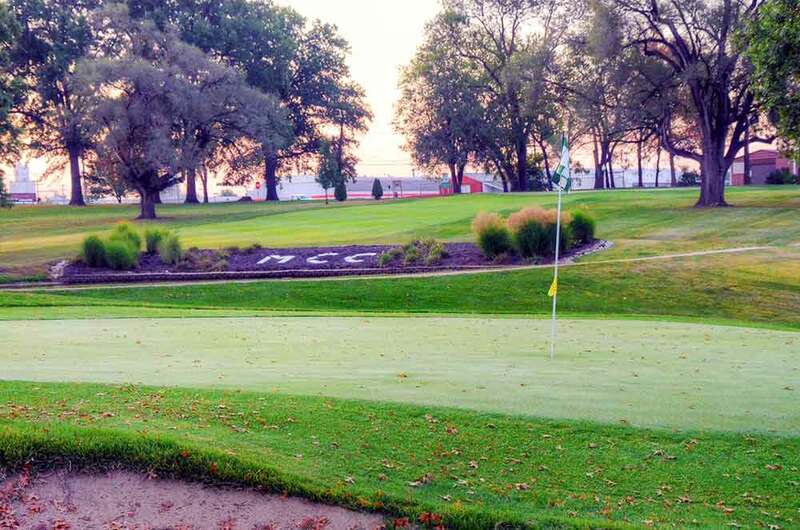 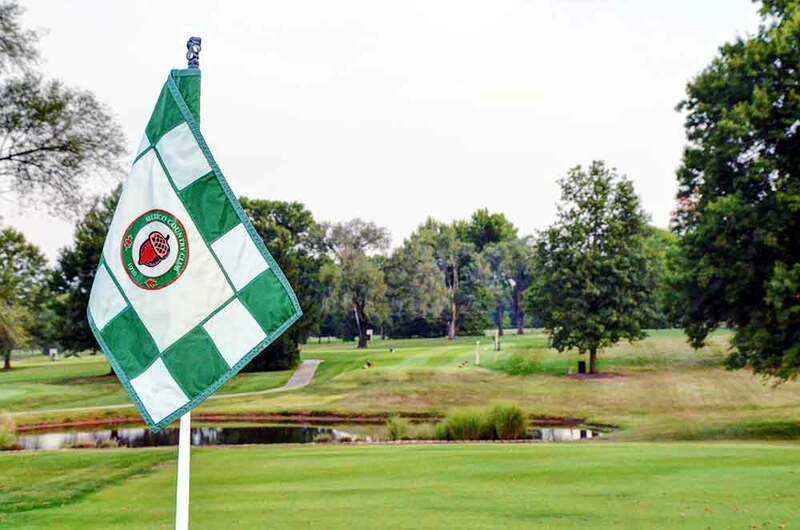 Mexico Country Club in Mexico, MO is an absolutely beautiful and wonderfully maintained 9-hole private club. 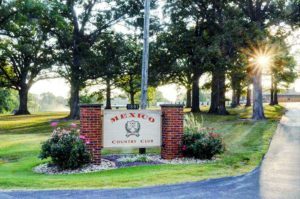 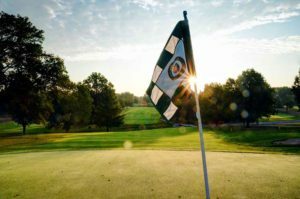 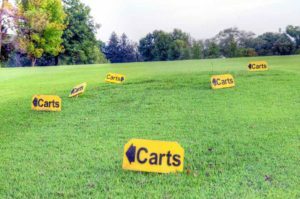 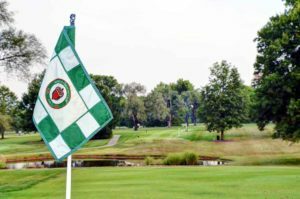 The club was founded in 1920 and it has the vibe of an old-school stately club in rural Missouri. 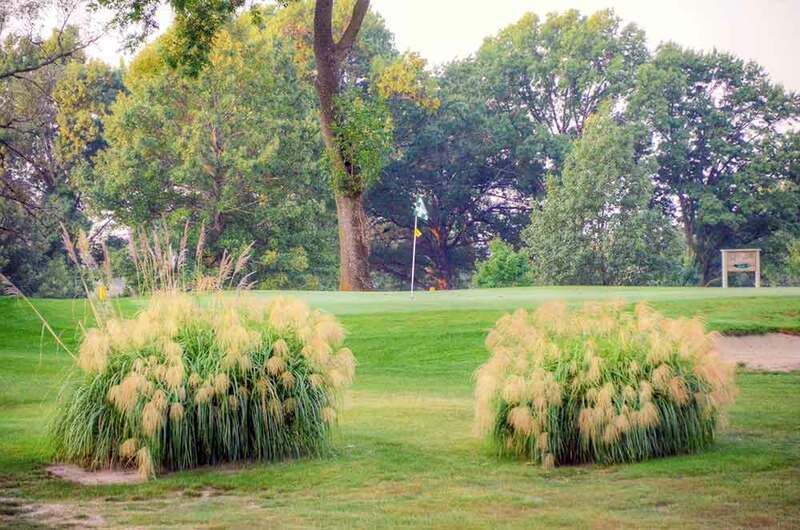 All of the grasses, from tee to green, are almost flawless and were a joy to play. 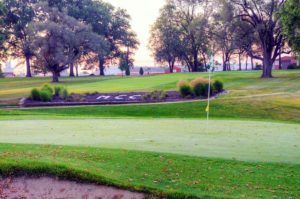 The greens are small to medium-size, sloped from the back to the front, without a lot of complexity. 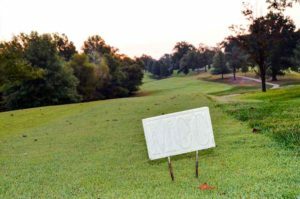 It is imperative to keep your ball in the wide fairways (about 35 yards wide) or you will be hampered by the many trees lining the well-defined fairways and thick roughs (see picture to the left). 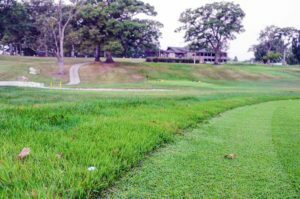 The roughs about 10′ off of the fairway are a mix of grasses/weeds and are threadbare at times. 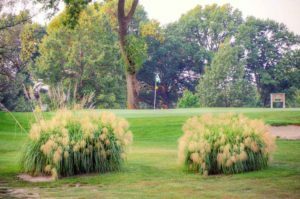 I would actually prefer to be in this shorter, more inconsistent rough because the rich and thick roughs adjacent to the fairways are a little too rich and thick for my tastes. 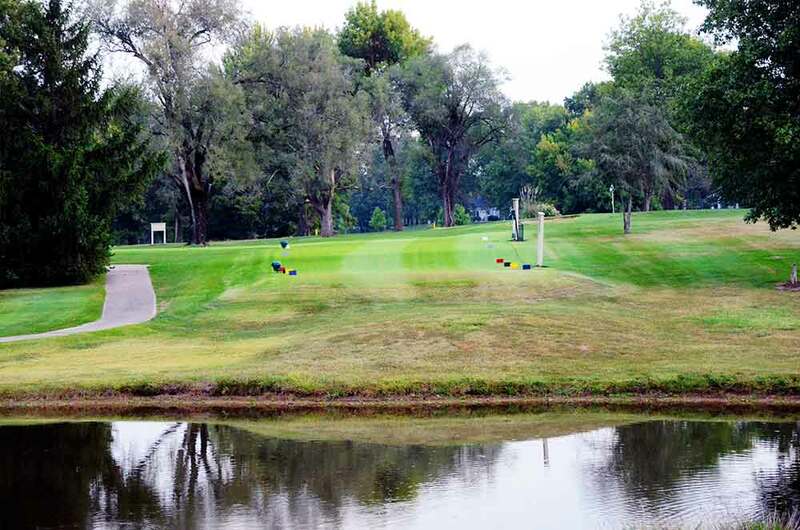 Traps are strategically placed around every green and there are a few water hazards as well.